Eleven guest workers are suing L'Amande French Bakery for exploitation, discrimination and trafficking. 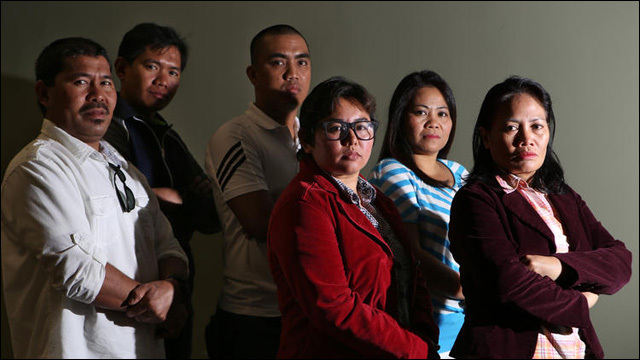 This week in Los Angeles, eleven immigrant workers filed a lawsuit against two popular bakeries, alleging that owners lured them from the Philippines promising high-paying jobs, only to exploit them. 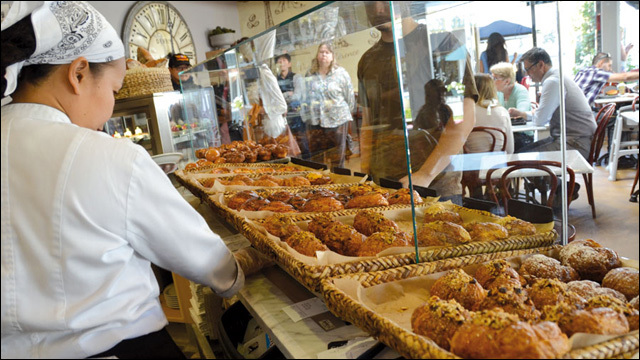 The lawsuit, filed by Advancing Justice - LA and Latham & Watkins LLP on behalf of eleven current and former employees of L'Amande French Bakery, alleges that the workers were fraudulently lured to the United States on E-2 guest worker visas and then subjected to exploitative working conditions including forced labor, severe wage theft, immigration-related retaliation, and national origin discrimination. 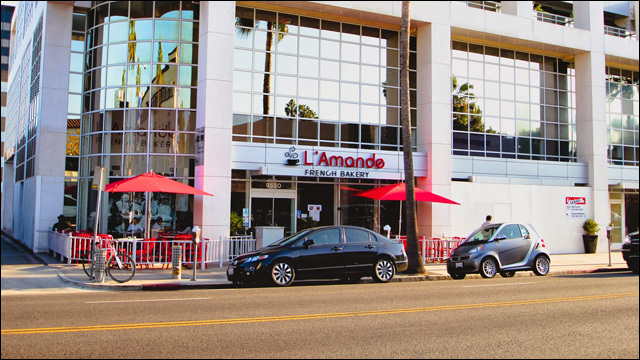 L'Amande is a popular bakery in the Los Angeles area with stores in Beverly Hills and Torrance. The owners of L'Amande are Ana Moitinho de Almeida, the daughter of a wealthy and powerful government official in the Philippines, and her husband Goncalo Moitinho de Almeida. According to the suit, the Almeidas used threats of debt, deportation, and financial ruin in the Philippines to maintain their economic exploitation of the workers while paying legally mandated wages to local workers. After the workers arrived in the United States, the Almeidas threatened them with a significant debt of $11,000 each unless they agreed to work under these illegal conditions for at least three years. 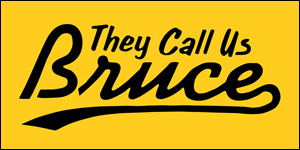 An investigation by the California Labor Commissioner's Office revealed egregious wage and hour abuses, including 14-hour work days for more than three consecutive months and wages of less than $3 per hour. 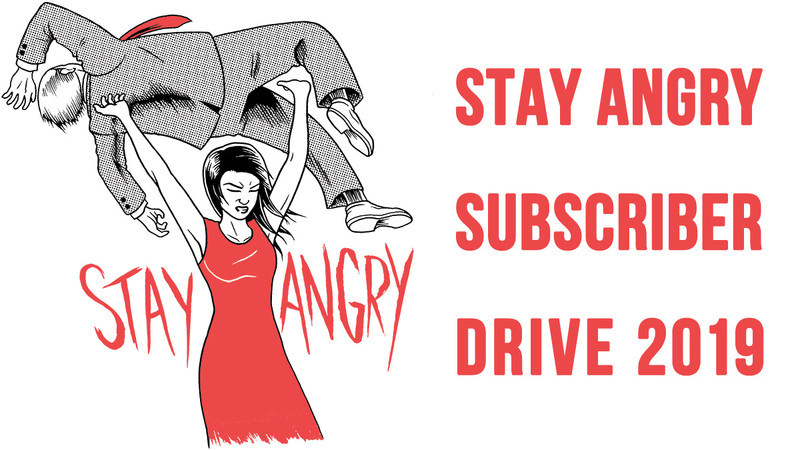 When the workers refused to lie about their working conditions, the Almeidas retaliated. Half of the workers were fired after they cooperated in the labor investigation. Now, since the E-2 visa is bound to the employer, the termination has left the workers in immigration limbo and without a livelihood. Yet they fear returning to the Philippines because of the Almeida family's powerful political connections, and the threat of further retaliation. Advancing Justice - LA says the case highlights the need for reform of the country's guest worker programs to protect foreign workers from fraud, abuse and exploitation. The E-2 visa provides temporary work authorization for immigrants with specialized or supervisory skills who are employed by a foreign national who has invested a substantial amount of capital in a U.S.-based business. Like other temporary (or guest) worker visas, E-2 visa holders are dependent on their employers for legal status, with few – and in this case no – protections against employer exploitation and retaliation for asserting workplace rights. In the lawsuit filed yesterday, the workers were recruited under false pretenses for their specialized pastry chef skills, but were forced to do menial labor once they arrived in the United States. The lawsuit alleges claims for labor exploitation, discrimination, unfair immigration-related practices, trafficking, and racketeering based on visa fraud, retaliation, and seeks to enjoin ongoing unfair practices. Some of the wage and hour claims alone for the 11 workers amount to more than $700,000. The workers are also seeking immigration relief, and are pursing T visas, which allows victims of human trafficking to live in the United States. If the workers aren't granted protected status, they will have to go home.